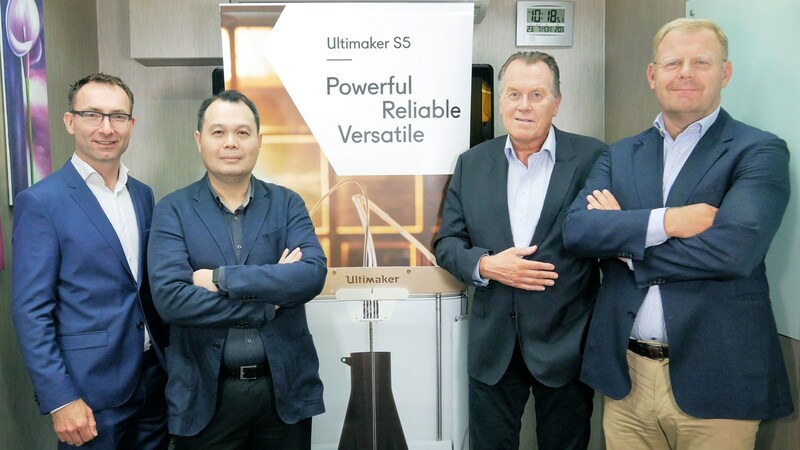 Ultimaker, a Netherlands based 3D printer manufacturer, has expanded operations within the APAC region with a new office facility in Singapore. Following this, Benjamin Tan, former Channel Director at Dassault Systèmes, has been appointed as Vice President Asia Pacific at Ultimaker in Singapore. Opening Ultimaker’s Singapore office (left to right): Siert Wijnia (CTO), Benjamin Tan (VP APAC), Jos Burger (CEO), Paul Heiden (SVP Product Management). Photo via Ultimaker. 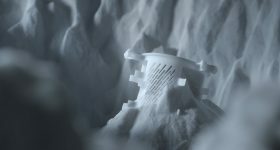 From research into 3D printed self-forming structures, to cost and time-efficient spare-part production for machinery, Ultimaker has spent the last seven years developing its range of desktop 3D printers for a variety of applications. 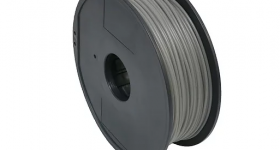 The company’s latest 3D printer, the Ultimaker S5, which has the largest build volume (330x240x300mm) within Ultimaker’s 3D printer series, illustrates the increased focus on meeting industrial production demands. 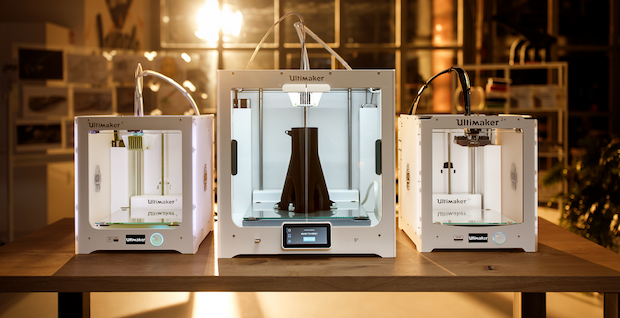 “3D printing is not only used for prototyping anymore,” said Jos Burger, CEO of Ultimaker. 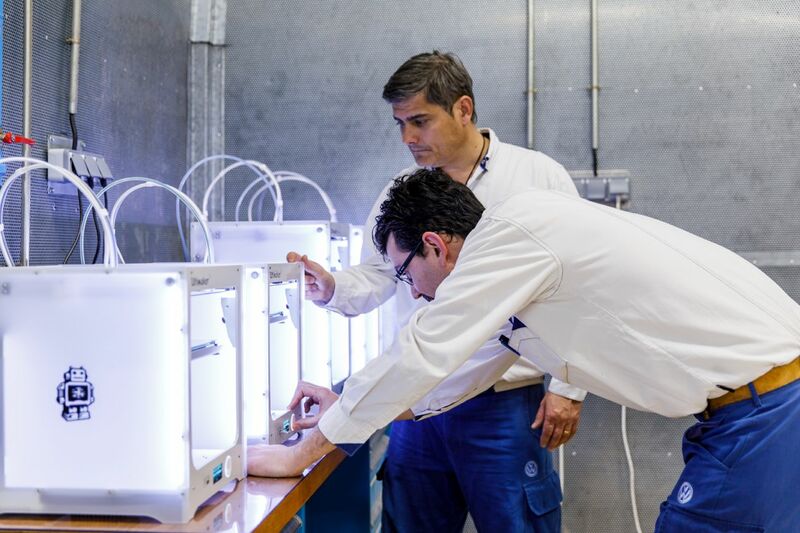 Last year, the Volkswagen Autoeuropa, an automotive assembly plant in Portugal, announced annual savings of $160,000 by using seven 3D printers, which includes the Ultimaker 3 and Ultimaker 2+. 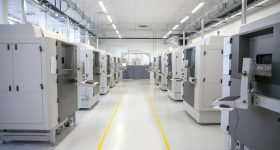 The plant, which employs 4,000 people, turns around 100,000 vehicles, was able to reduce typical production costs by over 90% and tool development time by 95% through the production of an estimated 1,000 3D printed tooling parts. The liftgate badge tool, used to accurately apply a car’s model name, was one of many components produced using 3D printing. 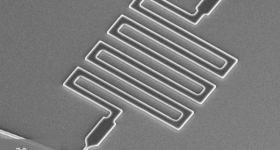 As a result of 3D printing, the plant’s initial investment was recouped within 2 months. Earlier this year, Ultimaker received the 3D Printing Industry Award for automotive application as a result of its work with Volkswagen Autoeuropa. 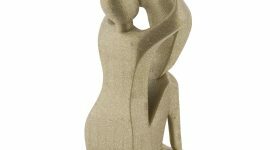 Prior to this, Ulitmaker received the 2017 3D Printing Industry Award for OEM of the year. 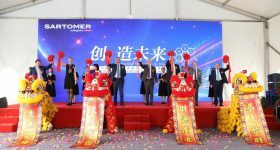 With the increased global demand for Ultimaker 3D printers Tan, sees a strong potential for developing 3D printing as an industry in the APAC region. 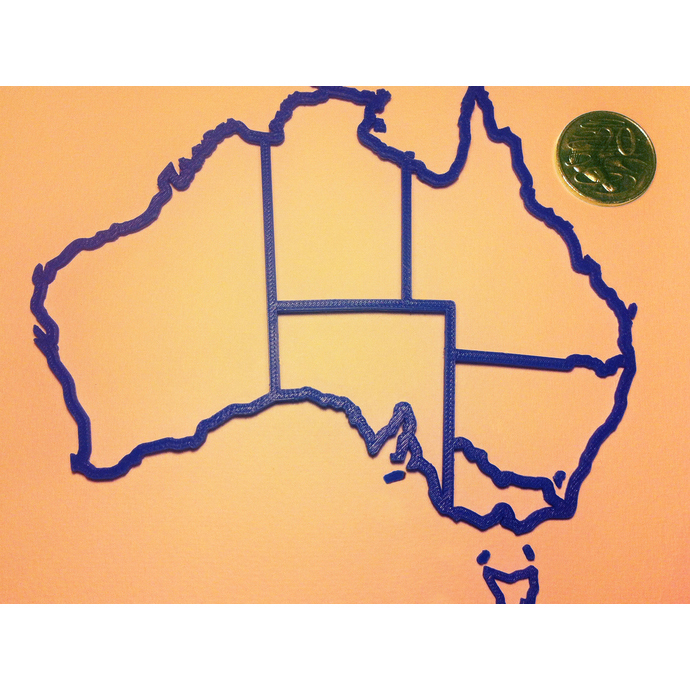 Catch up with the latest 3D news by subscribing to the 3D Printing Industry newsletter. Also, follow us on Twitter, and like us on Facebook. 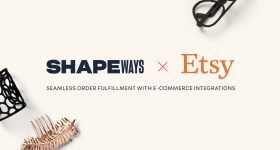 Looking for a new job in the 3D printing industry? Find the latest vacancies from Ultimaker and more on our 3D Printing Jobs service. Featured image shows the opening Ultimaker’s Singapore office with Siert Wijnia (CTO), Benjamin Tan (VP APAC), Jos Burger (CEO) and Paul Heiden (SVP Product Management). Photo via Ultimaker.